The 2012 Nobel Prize awards for chemistry, physiology or medicine, and physics were recently announced as they are every year at around this time and posted. The 2012 Nobel Prize for Chemistry is awarded to Duke University Medical Center scientist Robert Lefkowitz and Stanford University School of Medicine scientist Brian Kobilka for studies of G-protein-coupled receptors. The 2012 Nobel Prize for Physiology or Medicine is awarded to Gurdon Institute scientist Sir John Gurdon and Kyoto University scientist Shinya Yamanaka for the discovery that mature cells can be reprogrammed to become pluripotent. The 2012 Nobel Prize for Physics is awarded to Collège de France scientist Serge Haroche and National Institute of Standards and Technology scientist David Wineland for ground-breaking experimental methods that enable measuring and manipulation of individual quantum systems. The 2011 Nobel Prize awards for chemistry, physiology or medicine, and physics were recently announced as they are every year at around this time, and so I have posted. The 2011 Nobel Prize for Chemistry is awarded to Technion (Israel Institute of Technology) scientist Dan Shechtman for the discovery of quasicrystals. 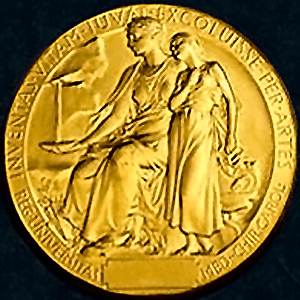 The 2011 Nobel Prize for Physiology or Medicine is awarded for two discoveries: for University of Texas Southwestern Medical Center scientist Bruce Beutler and University of Strasbourg scientist Jules Hoffmann and their discoveries concerning the activation of innate immunity and for Rockefeller University scientist Ralph Steinman and his discovery of the dendritic cell and its role in adaptive immunity. The 2011 Nobel Prize for Physics is awarded to Lawrence Berkeley National Laboratory scientist Saul Perlmutter, Australian National University scientist Brian Schmidt, and Johns Hopkins University scientist Adam Riess for the discovery of the accelerating expansion of the universe through observations of distant supernovae. The 2009 Nobel Prize awards for chemistry, physiology or medicine, and physics were recently announced as they are every year at around this time. 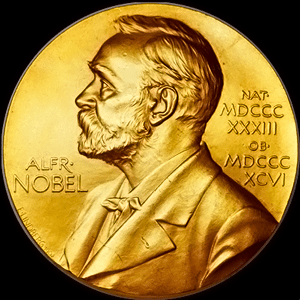 Like I mentioned last year, the Nobel Prize awards were established in 1895 according to the will of Swedish chemist, engineer, and inventor Alfred Nobel and endowed by his estate. Other than the three natural science awards, Alfred also wanted awards for literature and peace. All five Nobel Prizes were first awarded in 1901. In 1968, Sweden’s central bank established and endowed the Nobel Memorial Prize in Economic Sciences for their 300th anniversary. This prize for economics in honor of Alfred Nobel was first awarded the following year. The 2009 Nobel Prize for Chemistry is awarded to MRC Laboratory of Molecular Biology scientist Venkatraman Ramakrishnan, Howard Hughes Medical Institute scientist Thomas Steitz, and Weizmann Institute of Science scientist Ada Yonath for studies of the structure and function of the ribosome. 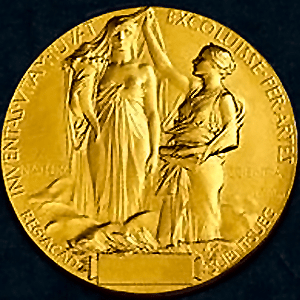 The 2009 Nobel Prize for Physiology or Medicine is awarded to University of California at San Francisco scientist Elizabeth Blackburn, Johns Hopkins University School of Medicine scientist Carol Greider, and Harvard Medical School scientist Jack Szostak for their discovery of how chromosomes are protected by telomeres and the enzyme telomerase. The 2009 Nobel Prize for Physics is awarded to two discoveries: for Chinese University of Hong Kong scientist Charles Kuen Kao and his groundbreaking achievements concerning the transmission of light in fibers for optical communication and for Bell Laboratories scientists Willard Boyle and George Smith and their invention of an imaging semiconductor circuit, the CCD sensor.